Nora was a delightful 7-year-old who suddenly started soiling herself when she was at school. The problem had persisted through pediatrician visits and an EAP counseling service that ultimately made the referral to me. In the first session, I saw Nora and her mom, Kathleen, together for a while, but Nora didn’t say much and Kathleen indicated that she wanted to talk to me privately. So I escorted Nora to the waiting room and showed her the toys, books, and TV. Kathleen expressed her concerns as well as her belief that the encopresis was related to the death of Nora’s biological father, who was recently killed in a car accident. Although Nora never knew her father, Kathleen believed the death was largely responsible for Nora’s soiling problem. As I tried to wrap my head around that, Kathleen spent most of the session talking about how Nora had been abandoned by her father as well as all the things that had been tried to help Nora with the problem. I learned a lot, but unfortunately it didn’t leave much time for Nora. After commiserating with Nora about the toughness of her problem and how embarrassing it was, I asked her what she thought it was about and what she should do about it. Nora couldn’t wait to tell me about this very mean third-period math teacher she had, Mr. Miller, who wouldn’t let her go to bathroom. Nora said that she repeatedly raised her hand to be excused but that he ignored her and that was why she soiled her pants. I was appropriately indignant and told Nora that this just wasn’t right. Unfortunately, it was time to end the session and other clients had already arrived. So I told Nora that we would get into this more in the next session and figure out what to do about it. The next week, before our counseling service, I asked Kathleen’s permission to start out with Nora to both explore Kathleen’s hypothesis regarding the biological father but also to hear the full story about mean Mr. Miller. We played a couple of games together while we talked, but not much came out of the discussion about her biological father. But Nora came to life when I mentioned Mr. Miller. Nora hated this guy. With unbridled energy, she described situation after situation in which he always gave her a hard time and not others. Mr. Miller particularly favored boys, and it was Nora who got in trouble whenever boys would pick on her. She described one incident in detail in which a boy next to her pulled her hair three times before she punched him, which resulted in Mr. Miller standing her in a corner and writing her name on the board. Regarding the soiling problem, Nora explained, she just couldn’t get to the restroom in time. Mr. Miller, Nora said, allowed the kids to go to the restroom by rows, and that was the way it was done, regardless of Nora’s need to go quicker. Nora asked and was ignored; she waved her arms and was overlooked; and she stood up to no avail. As Nora told me about this heartless teacher, she became more animated, demonstrating each of her failed attempts to get his attention with all the attending frustration. I couldn’t believe what a jerk this Mr. Miller was. I asked Nora what she thought could be done to set this guy straight, and I offered to call him (after I talked with Kathleen) to see if I could get to the bottom of this. But Nora had a different idea. She thought it better to have her mother write Mr. Miller a note. She even knew what she wanted the note to say. It was important that it properly put him in his place, essentially scolding him and telling him that he had better let Nora go to the bathroom. This sounded like a good plan, especially given that this solution was Nora’s and she was participating in a meaningful way in our work together. I invited Kathleen to join our discussion, and Nora and I presented the note idea to her mom. Although Kathleen looked confused and a bit out of sorts, we composed the note right there. I continually checked out what we were writing with Nora to ensure that the note captured her sentiments. Nora was very happy with the note and put it in her purse to take to school to give to Mr. Miller. She skipped happily to the waiting room. The note must have really put that guy on notice because Nora never soiled her pants again. But that’s not the whole story. After Nora and I shared her plan with her mother, Kathleen asked once again to speak to me alone. She told me that Nora’s math class was actually her fifth period and that her teacher was a woman—in fact, Nora had no male teachers; and, finally there was no Mr. Miller at all in the school! Kathleen was a bit at a loss about what to do about this and was worried that Nora’s lie reflected deeper psychological issues. I reassured her that children have rich fantasy lives and that I wondered if this was a way that Nora has devised to solve her soiling problem. I suggested that we implement the plan anyway to see what would happen and that we could immediately regroup if there was no movement, so to speak. So this impassioned, compelling story of the malicious Mr. Miller, with all its attending nuance and detail, was a lie, a big fat fabrication. But it worked. Nora defeated the poop problem. Perhaps it was Nora’s way of “externalizing the problem” or saving face with an embarrassing situation, or maybe Kathleen was right and it was Nora’s way of working through psychological issues about her biological father and his death. Who knows? Follow-up revealed that the problem had vanished and that Nora stopped talking about mean Mr. Miller. Although one can speculate many reasons why Nora suddenly took control of her soiling problem, the fact remains that the lie served a purpose and was somehow therapeutic. Nora helped me to continue my reflection about lies and the truth in psychotherapy. 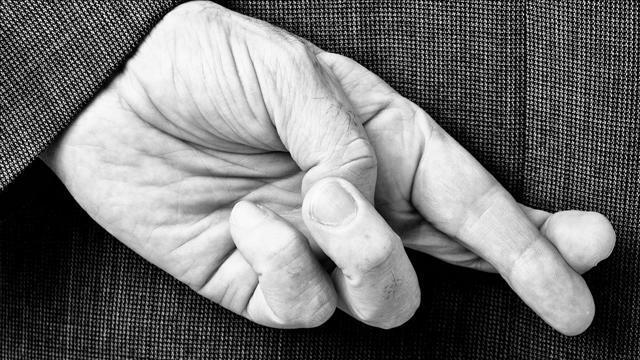 Most lies are decidedly not malicious in nature, and it may be that clients have very good reasons for lying, and maybe, sometimes, the client is telling the truth, even when it is a lie.